Héloïse was a French nun that was best known for her love affair with Peter Abelard between the years of 1115/1117-1142/1144. Heloise’s traditional date of birth is believed to have been between the years of 1100-1101. Many believe that she may have been older than Peter Abelard, and that would have made her date of birth sometime in the year 1090. The only information known about Héloïse’s parents is that her mothers name was Hersende. The relation to her Uncle Fulbert is unknown. Héloïse spent time as a child at the Benedictine convent of St. Marie of Argenteuil which is located near Paris. While attending she excelled in the arts of grammar and rhetoric. Later she lived with her uncle Fulbert a canon at the Catherdral of Notre Dame in Paris. 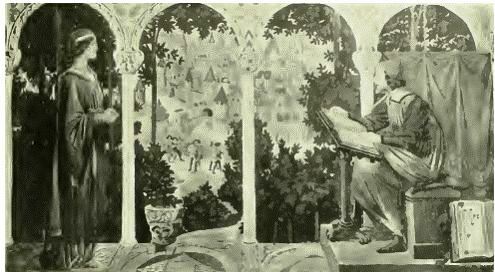 During the years of 1114-1117 Peter Abelard was hired by Fulbert to tutor Héloïse and further her education. While Abelard was lodging at Fulbert’s he seduced Héloïse and fell in love with her. Héloïse died between the years of 1163-1164 as the abbess of the Paraclete. A depiction of Peter Abelard and Héloïse as a nun at the convent of Argenteuil. After the love affair between Peter and Héloïse continued, Héloïse gave birth to their son Astralabe in the year 1118. Fulbert insisted that the two get married but Peter and Héloïse both felt it would complicate Peter’s career and would go against his ideals as a philosopher. Following the birth of Astralabe and the secret marriage, Fulbert decides to make the marriage public even though it goes against Peter and Héloïse’s wishes. Shortly after Peter has Héloïse moved to the convent of Argenteuil the place of her childhood. Peter continued to visit her but it seems he does abandon her in some sense as Héloïse describes in her first two letters, better known as letters two and 4. The love letters between Peter and Héloïse are the main insight we have of Héloïse and can be found here. Fulbert immediately assumed that Peter was trying to get rid of Héloïse by having her become a nun and had him castrated by his kinsmen. 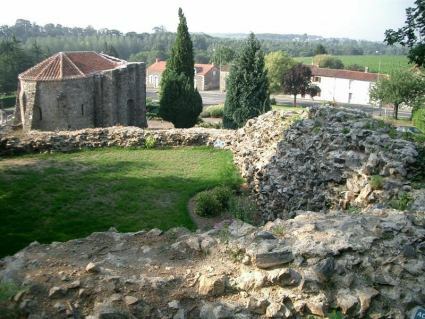 Remains of the castle at Le Pallet. This is also the birth place of Peter and Astralabe. 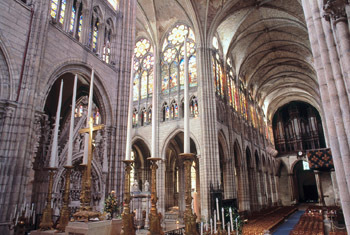 Following Peter’s castration he decided to enter religious life at the royal Abbey of St. Denis. 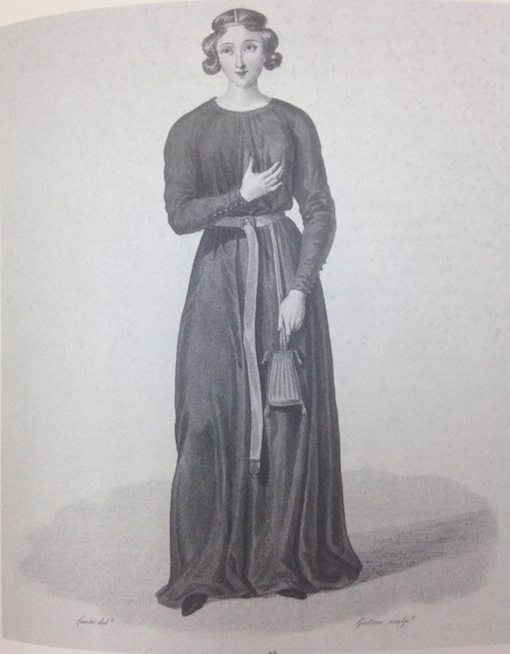 Before the age of twenty Héloïse had already professed religious vows at Argenteuil and was already a prioress. Unfortunately Suger had become the abbot of St Denis in 1122 leading to his expulsion of the nuns in 1129. 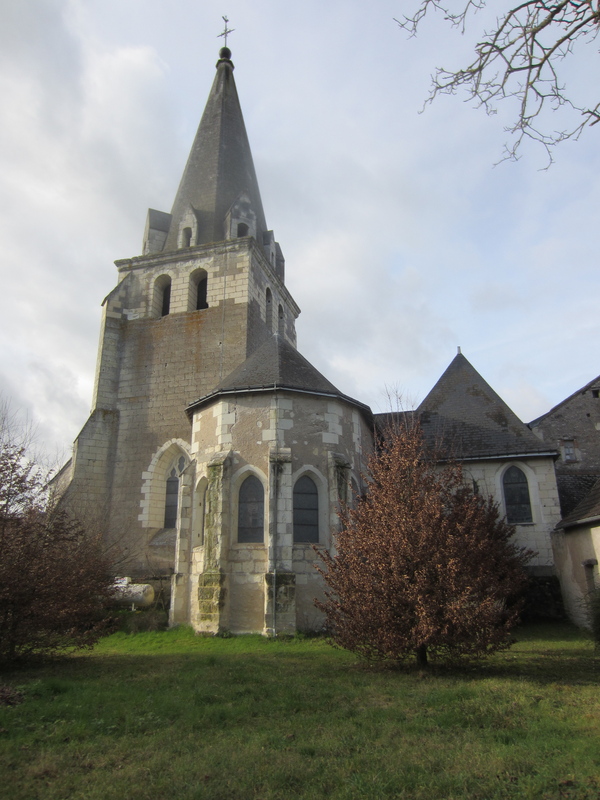 While this was occurring Peter was condemned from St Denis at the Council of Soissons in 1121. Héloïse’s leadership at the Paraclete continued after Abelard’s death in 1142. She founded several daughter houses and allowed the Paraclete to come under Cistercian influence. Héloïse died between 1163-1164 as the abbess of the Paraclete. The Paraclete continued after her death until its demise during the French Revolution. 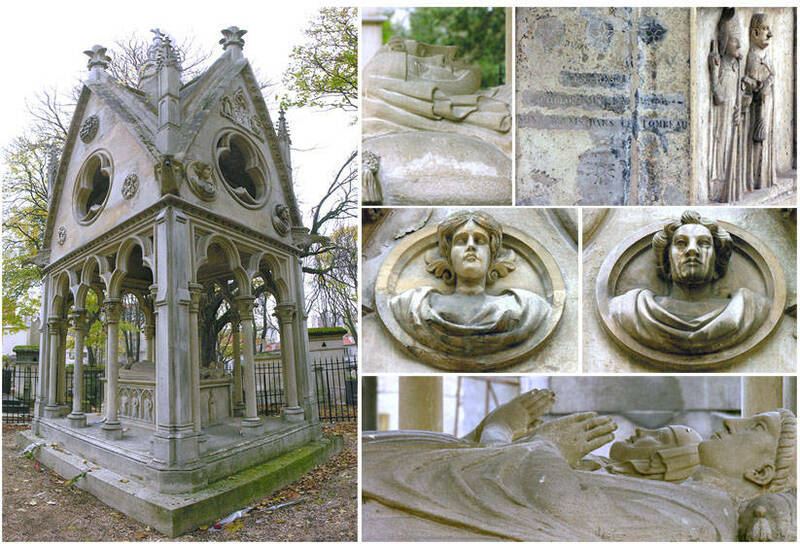 The cemetery Père Lachaise in Paris where Peter and Héloïse are buried. The most important letters written by Héloïse are known as letters 2 & 4. These letters were written to Abelard and tell of Héloïse’s love for Peter. “Her first two letters to Abelard express a heroine’s affective states-vehement longing, the grief of abandonment, loving admiration and reproach of Abelard, even resentment of God, who has severed Abelard from her-a range wider and deeper than in the Epistles of Ovid, and incomparably more serious than in that of Constance” (Dronke 107). 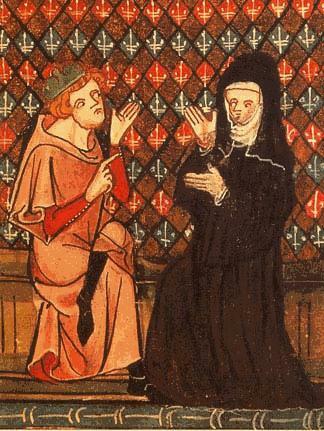 “Heloise outlive Abelard by twenty years, and it is possible that in those years she edited their correspondence to some extent, in order to leave it to posterity as a coherent testament and a just record of her former husband and herself” (Dronke 108). Many have claimed that Héloïse didn’t write the letters, but Barbra Newman argues the Héloïse did in fact write the letters to Abelard. Héloïse has not heard from Peter Abelard in some time and learns that he has written a letter to a friend telling of his story. Héloïse is upset that any day she could receive news that Peter has died and writes this to him, “we beseech you to write as often as you think fit…We are all that are left you, so at least you should let us share your sorrow or your joy” (Abelard 48). Héloïse asks Peter to come back to the Paraclete and to care for it as well as for her, “you are the sole cause of my sorrow, and you alone can grant me the grace of consolation” (Abelard 51). She continues by stating that she has changed everything about her at his command and did so for him and nothing that he posses. Perhaps the most famous line of this letter is as follows, “God is my witness that if Augustus, Emperor of the whole world, thought fir to honour me with marriage and conferred all the earth to me to possess for ever, it would be dearer and more honourable to me to be called not his Empress but your whore” (Abelard 51). The main purpose of Héloïse’s letter is to ask Peter why he has neglected her by not speaking to her in person or through letter. She claims that he never really loved her but only lusted over her. Héloïse begins this letter by addressing Peter’s last letter in which he put her name before his, implying that she is superior or equal to him. This surprises her very much. Peter has also made Héloïse sad by stating “But if they lord shall deliver me into the hands of my enemies so that they overcome and kill me…” (Abelard 63) which deeply upsets Héloïse and the nuns. Héloïse states that if Peter dies and his body is returned to the Paraclete she and the nuns would only have time to cry but not time to pray for him. She continues by saying she would have no reason to live if Peter were to die. Héloïse goes on by addressing the punishment Peter suffered for their love affair, and how unjust it was since it (the castration) occurred after they were already married. She feels bad that she was not punished at all and compares herself to Eve saying “men are most easily brought to ruin through their wives” (Abelard 67). Héloïse claims that she has lived life trying to please only Peter, “…I have feared to offend you rather than God, and tried to please you more than him” (Abelard 69) showing her true devotion to him. The letters can be found here. Including another letter written by Héloïse known as Letter 6. Marion Meade wrote a novel based on the life and love affair of Héloïse and Abelard in 1979 titled Stealing Heaven: The Love Story of Heloise and Abelard. The book was later made into a film simply titled Stealing Heaven in 1988 and was directed by Clive Donner. The book can be found here, and the film can be found here. Abelard, Peter, Peter Abelard, Héloïse, and Peter Abelard. The Letters of Abelard and Heloise. Harmondsworth: Penguin, 1974. Print. Clemens, Samuel Langhorne. The Innocents Abroad .. New York: Harper & Bros., 1915. Web. 26 Apr. 2014. Dronke, Peter. 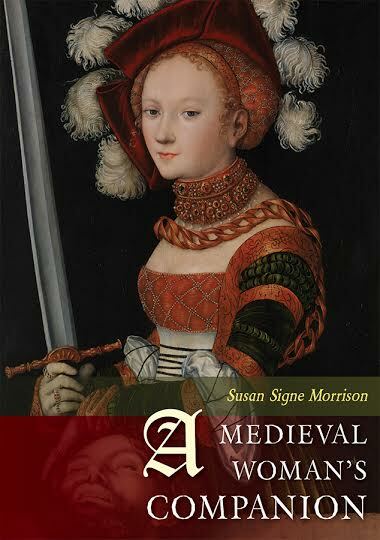 Women Writers of the Middle Ages: A Critical Study of Texts from Perpetua ( 203) to Marguerite Porete ( 1310). Cambridge: Cambridge UP, 1984. Print. Meade, Marion. 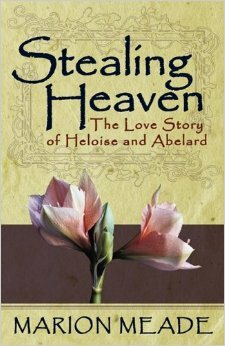 Stealing Heaven: The Love Story of Heloise and Abelard. New York: W. Morrow, 1979. Print. Newman, Barbra. “Authority, Authenticity and the Repression of Heloise.”Journal of Medieval and Renaissance Studies 22.2 (1992): 121-57. Web. 26 Apr. 2014. Stealing Heaven. Dir. Clive Donner, Denholm Elliott, Derek De Lint, Marion Meade, and Kim Thomson. 1988. Amazon Instant Video. Wheeler, Bonnie. Listening to Heloise: The Voice of a Twelfth-century Woman. New York: St. Martin’s, 2000. Print. Young, Serenity. Encyclopedia of Women and World Religion. New York: Macmillan, 1999. Print.